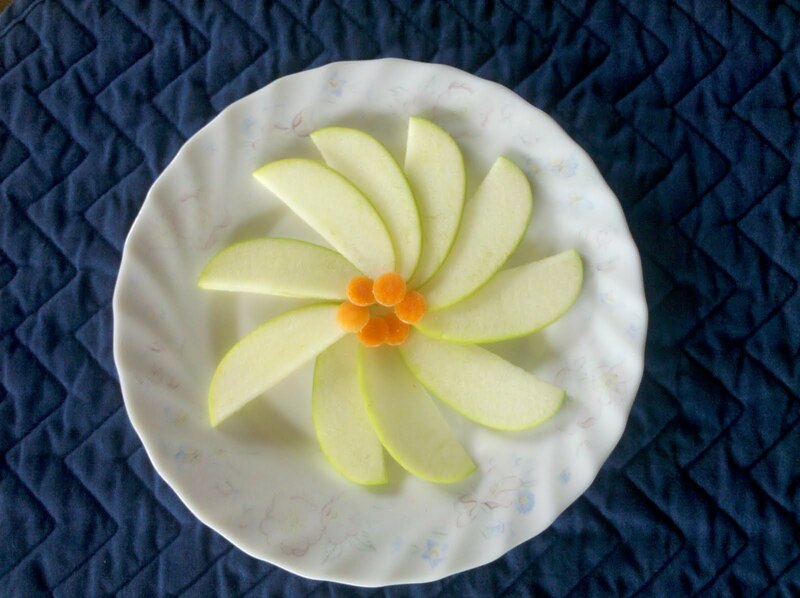 A pretty little apple flower for snack time today. My kids eat apples any which way I serve them, so this food art was really just for me. Be sure to slice your apples super thin so they lay flat, and choose a round-ish food for the center. Carrots perhaps? Or maybe red grapes or a dollop of peanut butter. What do your kids like for snack time? JDaniel loves cottage cheese right now.